SAVE 5% on bookings travelling from 1st April 2019! Valid for travel dates from 1st April 2019! 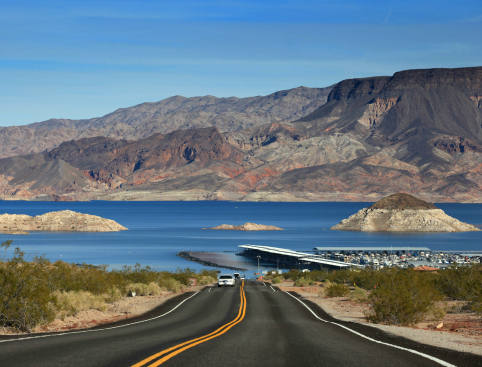 Take a cruise on Lake Mead - one of the largest man-made lakes in the world. Enjoy lunch on-board an authentic Mississippi style paddle wheel boat. Includes a professional guide and travel in a luxury coach from Las Vegas hotels. 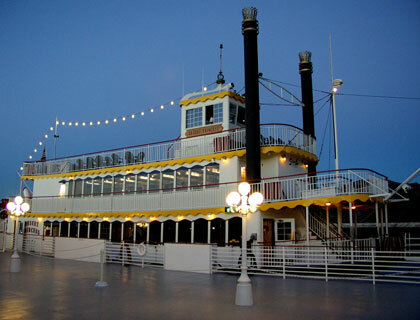 Enjoy dinner on-board an authentic Mississippi style paddle wheel boat. Photo stop at the Las Vegas Welcome sign. Simply print off the e-ticket and hand it over when you’re picked up. 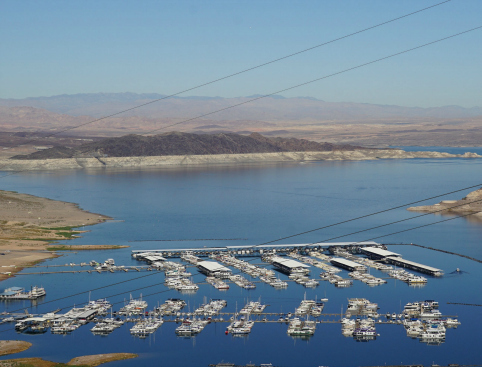 What: Lunch or Dinner cruise on Lake Mead. Start Time: Lunch: 7.45am, Dinner: 4pm. 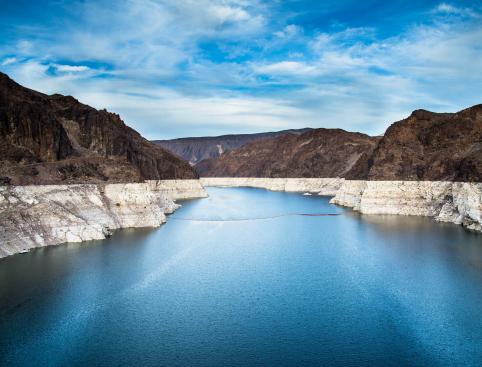 Don’t Miss: Seeing the Hoover Dam from the decks of an old-style paddle-wheel boat! Cruise in climate-controlled comfort on an authentic paddle wheel boat, built especially to cruise the blue waters of Lake Mead! 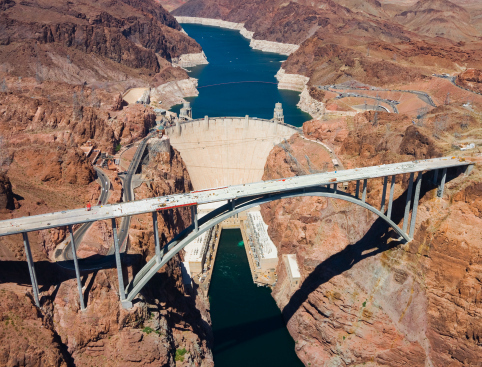 From the boat you’ll have spectacular views of the Hoover Dam as it towers above you, as well as the Hoover Dam Bypass Bridge. Cosy up in one of the two enclosed decks or feel the wind in your hair and the desert sun on your face on the open promenade deck. The Lunch Cruise also includes a 2-hour Hoover Dam visit, as well as a photo stop at the world-famous “Welcome to Las Vegas” sign! Daily from February to October. Includes round-trip transfers from centrally located hotels in Las Vegas. Hotel pick-ups are between 7:45 - 8:45am and drop-off time is around 3pm. Please allow approx. 7 hours in total for this trip. We recommend layered clothing and comfortable shoes. Children 2 years and under go free if they sit on a parent's lap. Collapsible wheelchairs can be accommodated on the transfer vehicles, but there are no ADA lifts. Lunch, cruise and transfers by luxury coach. Drinks – these can be purchased from the on-board bar. From April to October on Tuesdays, Thursdays and Sundays. Hotel pick-ups begin at 4pm and drop-offs begin at approximately 9.30pm. Please allow approx. 5 hours in total for this trip. Dinner, cruise and transfers by luxury coach. Please note these tours require a minimum passenger number to operate. If the minimum number of passengers is not met then you will be offered an alternative date during your holiday.